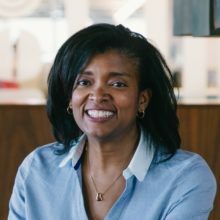 Anita Stokes currently leads the University Relations & Recruiting efforts at Dolby Laboratories, helping to bridge the gap between various departments and academia with the Dolby U internships and entry-level employee programs; she brings a wealth of experience to her role. She received her MA at the University of Southern California’s Annenberg School of Communication in Communication Management and managed programs and recruited candidates at Pandora, Sony PlayStation, Lucasfilm, Apple, and Electronic Arts. Additionally, Anita worked as an assistant director/video producer/consultant inside the university systems at Colorado College, Stanford University, and Vanderbilt University.